Fort Myers Beach is often referred to as the best Florida beach vacation destination for couples, families and leisure travelers alike. Find out what makes this place such a popular destination for beach vacations: These excerpts from national travel magazines and news outlets will help paint a picture of this small slice of heaven, and inspire you to book your own Fort Myers Beach beach vacation today. Reserve your Best Western Plus Beach Resort accommodations online for fast, easy and secure booking, or give us call anytime! A beach vacation on the Gulf of Mexico has a certain quality of removal and relief that's not found just anywhere. Places like Sanibel Island, Ft Myers, Captiva and others all shine with a special brand of radiance perfectly suited for obliterating the aura of stress and tension that tends to surround the daily life of so many of us - a trip to this region guarantees a return to what's important. Focusing on Ft Myers Beach, once a quaint settlement only accessible by boat, it might very well be possible to craft the ideal beach vacation. White sands, stunning sunsets, a little bit of eco-friendliness, tons of enthralling beach and recreational activities…all the ingredients are here. Cross the bridge to this refuge of a town and prepare to feel the weight of the world lift from your shoulders. 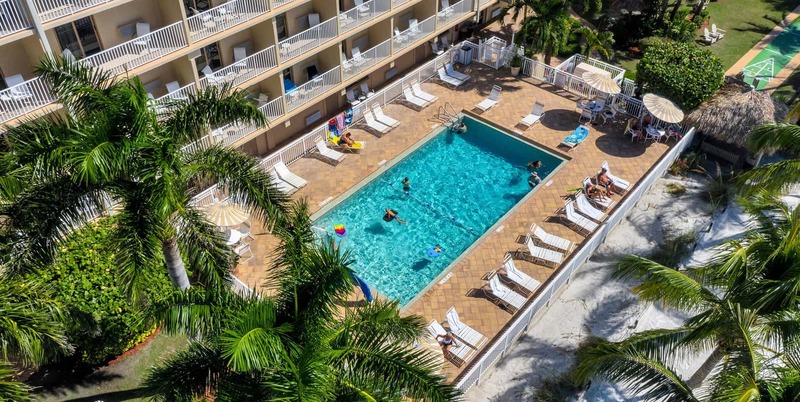 Ft Myers Beach is known for being a well-equipped yet laid-back vacation spot; offering all that tourists need without the overwhelming crowds and hassles of visiting a busy, buzzing magnet for travelers. Orlando and Miami aren't too far away so a quick dip into chaos is possible if you desire, but this is the place to be if a little rest and breathing room are in order. Diversions to look forward to include some of the best beachcombing in Florida, jet skiing, bird watching, scuba diving, outlet mall shopping and deep-sea fishing. This is just a surface level sampling, of course, as the tropical climate, fun-loving atmosphere and physical beauty of land and sea all have the power to provide so much more. 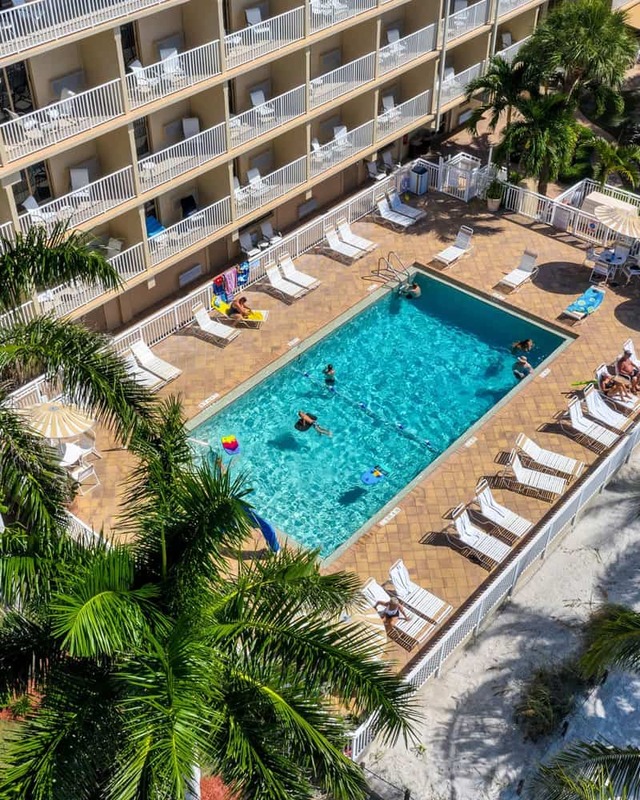 Each person in a given traveling group likely has their own goals for what to see and do (or not do, if this is indeed all about forgetting and relaxing); Ft Myers Beach is ready to take on any and all expectations. Follow Estero Boulevard to discover various points of public beach access. Just down the way is Lynn Hall Memorial Park, the place to go for families in search of bonuses like a playground. Farther north is Bowditch Point Regional Park, another gem worth taking a look it. Its rough natural beauty, as well as amenities that include restrooms and picnic areas, makes it a must-visit. Finally, Fort Myers Beach Fishing Pier is not only a fun gathering spot and lookout point, but a top-notch place to cast a line. In addition to enjoying the typical activities along the coastline, check out the unique corners of interest, too. It might be hard to tear yourselves away from a prime spot on the warm sand, but it'll be worth it. Plus, the beach will be there when you get back. Try the Ostego Bay Marine Science Center for a little family fun and education or Estero Bay Aquatic Preserve to receive an up close and personal view of the natural habitat and nearby ocean dwellers. The surrounding towns have plenty of museums and eco-tours as well, so explore the possibilities of this rich land. Bargain shopping, nightlife and plenty of restaurants, not to mention various festivals and special events, round out Ft Myers Beach's reputation as a solid beach vacation destination. Enjoy fresh seafood for breakfast, lunch and dinner (if you so desire), pick up the perfect souvenirs, enjoy a night on the dance floor…in between dolphin watching, manatee scoping, sea shelling and napping in a lounge chair there's no shortage of "civilized" activities to engage in. Any time of year is a good time to visit Fort Myers Beach, so clear a spot on the calendar and go for it. When properly planned and entered into with abandon, this could be just the trip to bring back the peace of mind that has lately taken a vacation itself. Within 24 hours of arriving in Fort Myers in March 1885, Thomas Edison bought 13 acres on the Caloosahatchee River, and before long he was planting palm trees along the dirt road between downtown and his spread. The road is now McGregor Boulevard, lined with thousands of royal palms (not all courtesy of Edison) and congested in tourist season, and Fort Myers is still seducing Northerners. Now a mally, sprawly city of 48,000, spawning suburban housing developments, it offers not only warmth and sunshine, but boating, beaches, spring-training Minnesota Twins and Boston Red Sox games, and a pedestrian-friendly downtown historic district with restored buildings and diet-busting restaurants.